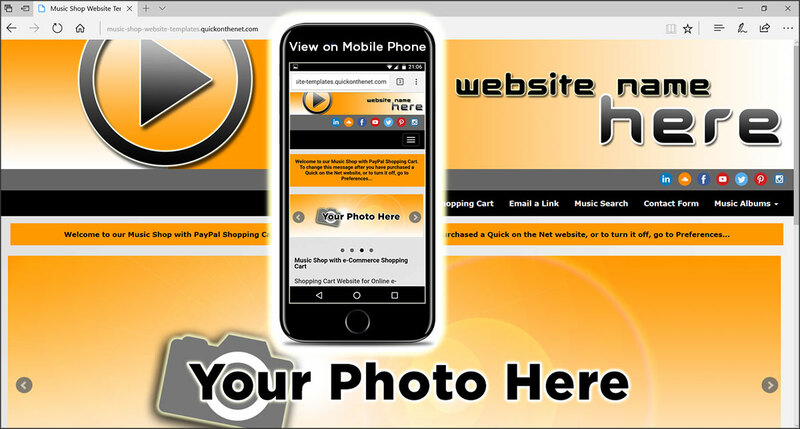 We offer a range of web template designs for music, music shops, and video. 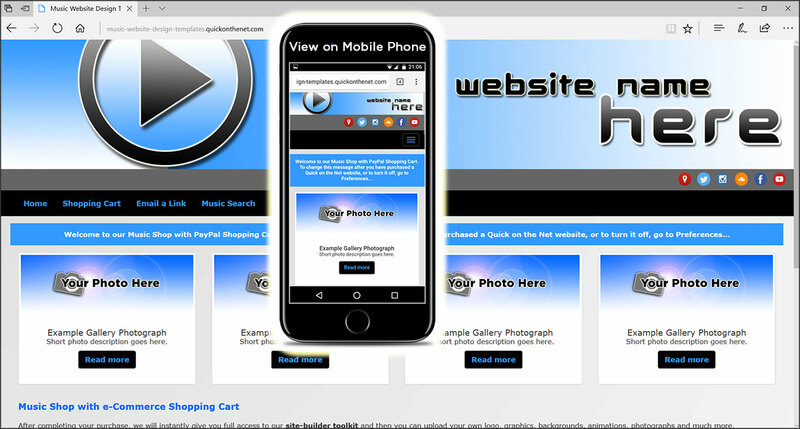 We provide details on how to create a music shop website with PayPal shopping cart service and PayPal payment buttons. We offer flat-coloured menu buttons as standard, but you can also (for no extra charge) upload pictures/images to be used as menu buttons. To put you on the fast track, you will notice that we have already created a collection of picture menu buttons for this music site.